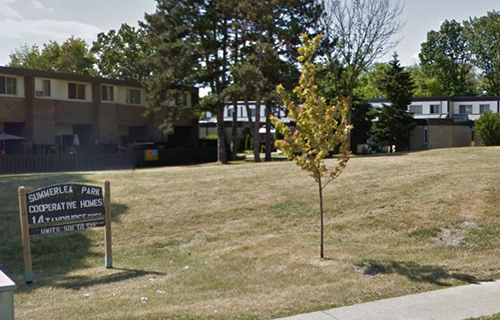 Summerlea Park Co-op located at 16 Tandridge Cres. The waiting list is closed and the co-op is not accepting applications. Monthly Housing Charges include Cable, Gas and Laundry Facilities. Hydro is not included. Parking is $50.00 per parking spot. Summerlea Park co-op is close to schools and local shopping.